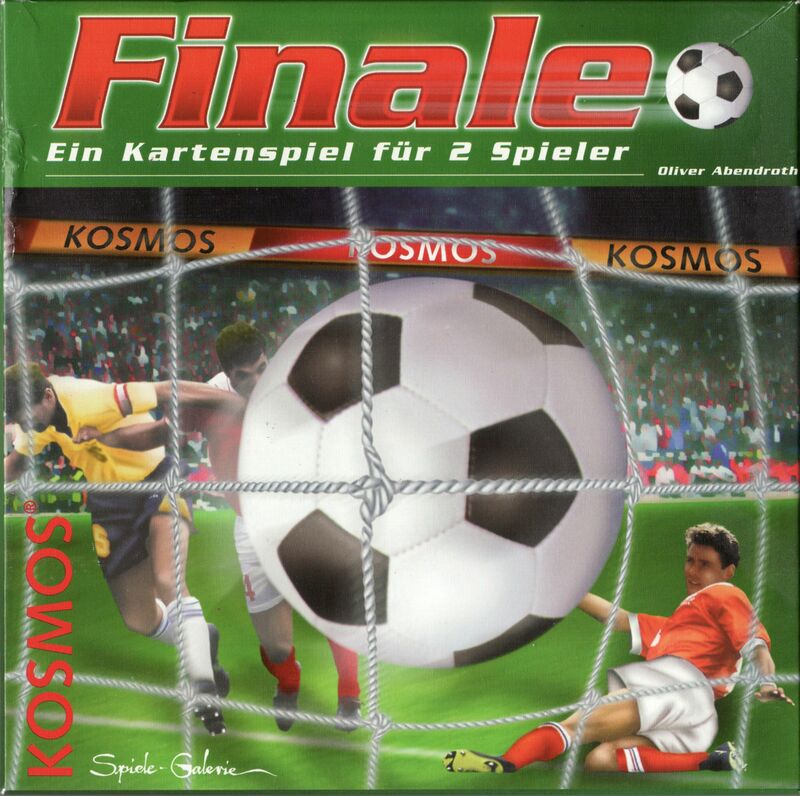 Another game in Kosmos two-player series, this game casts players as soccer (football) coaches on opposite teams. Players use special square cards to represent the players they have in each of the positions: strikers, mid-fielders, defenders, and goalies. Each turn, one of the two players will be the offense based on a simultaneous selection of cards from their respective play books. Then players allocate their players to the current play, which rotates the used players. A player card has a number of soccer balls on each edge, which tells how many skill points the player will contribute to a given play, and using the player (thusly rotating him) might actually weaken him for the next use. Re-implemented as: Tooor!